Finally! 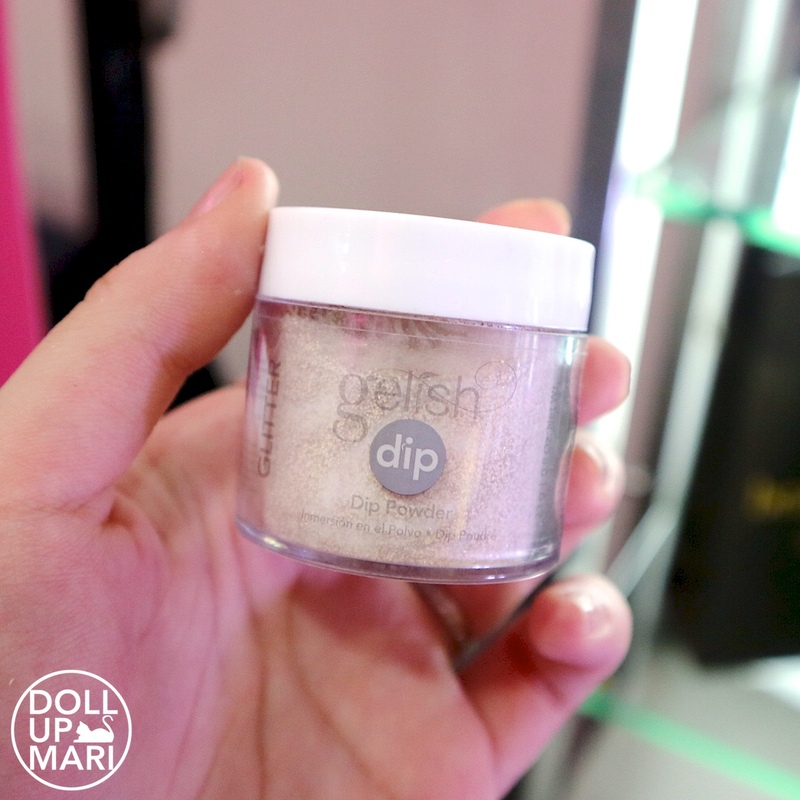 Gelish Dip is here! I know, I know, it doesn't sound interesting. But it only sounds uninteresting at first. To say it in a language that consumers would like to hear, this is a revolutionary treatment from Gelish that gives acrylic like nails within 5 minutes or less! I know you've all seen the crazy acrylic tutorials on YouTube and I know y'all are dreaming of having nails that are fiber-glass like in sheen and sparkle. But of course, you were either scared away by the high prices of acrylic extensions or the loooong hours needed to do most acrylic jobs. As such, Gelish developed a way to create nails as if it were sculpted like acrylic but in just as short as 30 minutes for the whooole session for the client. 30 minutes will already have included cleaning, massaging, and the actual application of Gelish Dip. And in humane pricing, too! 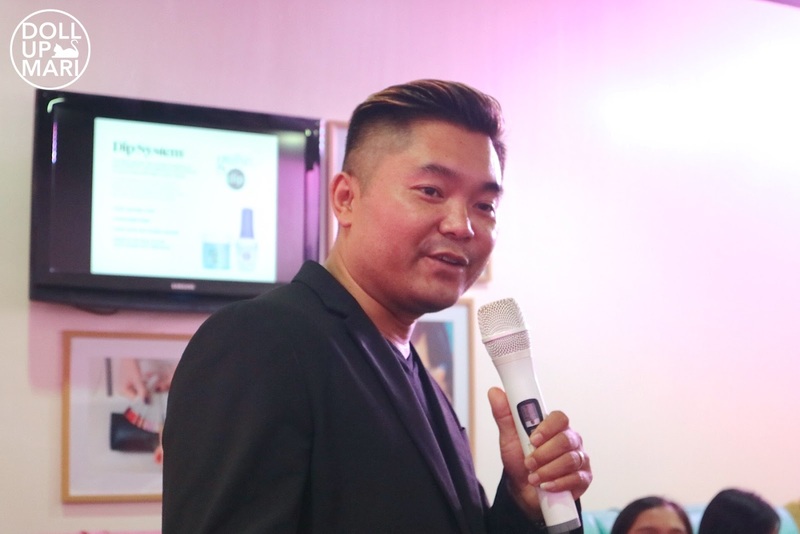 We were at Beauty and Butter last Thursday, and with us were the key managing and creative managers of Nail Alliance, makers of Gelish and Morgan Taylor. They were proud to talk about how they were able to develop dip technology. Basically the technician applies a special primer on your nails, you dip your nails in the special powder, and voila your nails look like they were sculpted with acrylic or gel. As an incognito nail technician myself, the 3D effect is what sells to me a lot. When a nail enhancement has a 3D effect, it beautifies the nails in the aspect that it has a glass or crystal like effect. And if you've been slaving over gel nails on IG, it's probably also because the 3D aspect of hard gel makes it look like gems on the nails. But achieving pretty 3D nails is not easy. Gel polish doesn't give a reaally prominent 3D effect even if it's relatively fast. Acrylic or 3D gel sessions take 3 hours upwards to do. Not to mention that each layer of gel, whether polish or 3D hard gel, will have to be cured with a lamp. Gelish Dip does not require lamps. If you will notice, it's the 1-2 minutes needed between each layer of polish that adds to the whole treatment time. So that's how it saves time. To add, I know some people feel that too much lamp exposure is not healthy, so this thankfully doesn't make use of any lamp. 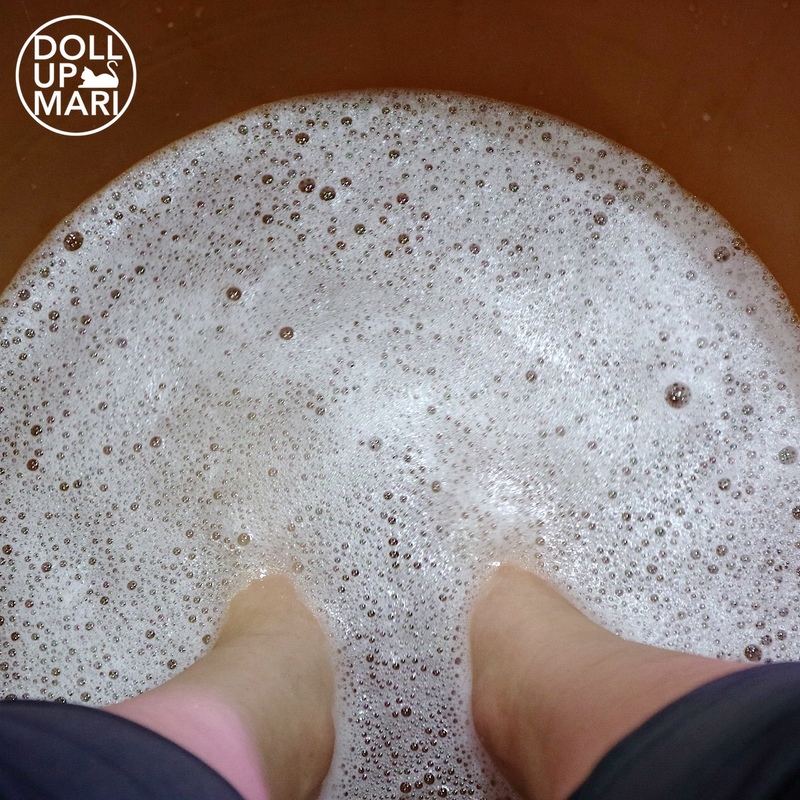 In order to uphold hygiene, they do not use Gelish Dip on the feet. Since I was doing a gel rest for my nails, I just had gel polish on my toenails done instead. Just a relaxing soak before all the massaging and cleaning here. My seatmate Charlene was nice enough to let me photograph the process on her. So as you will see, the powder is literally in a jar. They applied a primer onto her nails before dipping, that's why it sticks onto the nails and forms a thin 3D layer. They repeat the process, about 2-3 coats I think, to give this nice 3D finish. If you will see, this is more or less how it looks like before it's sealed off and finished off. If you will notice, it's like 1.5mm thick, so it will have a nice 3D effect. Don't be afraid of 1.5mm because since this is not used over nail extensions, 1.5mm is thick enough to not break easily. It's also thin enough so as not to give an annoying feeling afterwards. No adjustment period required. Adjustment period refers to when you've just had nail extensions and it feels weird after. When I first had extensions April last year for my whoole life, it took me like 3 days to get used to typing on computers and on my phone. Thanfully, MacBook keyboards are thin so it's not hard. But even now, after a year of gel extensions, it's still hard for me to type on regular keyboards. So the summary is thankfully, with Gelish dip, there is none of that. And this is the final result! As if she had hard gel! Charlene herself could not stop gushing at how beautiful the final effect was. It was sooo pretty, especially that the shade she chose was a glittery holo one. In real life, there was this glass like effect akin to 3D gel, and that impressed me immensely. For the nail techs who might be reading this, I consulted with their nail god (aka Vu) and he told me that Gelish Dip works best on bare nails. For gel extensions, their gel polish works best. This product is formulated for perfect adhesion to nails, so it might crack or encounter problems when placed on top of acrylic or gel. For best results, salons must of course invest in the whole system and not interchange between this system and competitor systems in actual practice. I feel that unless nail techs have already perfected the control of powders like Gelish Dip, it's best to stay safe and stay within the system. This comes in 120 shades to match the Gelish gel polish shades out there, so whether you're looking for the perfect shade to put on nails or on top of extensions, Gelish has got you covered. They have even moooore exciting things in store (I neeeed their next innovation so badly in my life) so I'm so excited to be talking about them as they come!